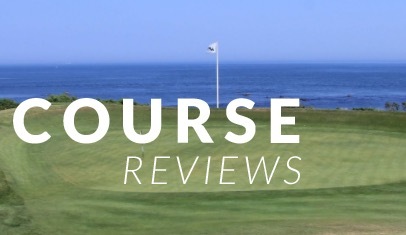 This review was written by Keith Olbrantz, who has contributed Irish course reviews to the site in the past. He has some serious club building knowledge as you will see below! To see all of his reviews, click here. The success of Bryson DeChambeau at both the amateur and professional level has created new interest in the concept of single length irons. This has lead to multiple articles and YouTube reviews discussing single length irons, several of which caught my attention. Fortunately, my club-building experience and the availability of high-end component clubheads has allowed me to satisfy my curiosity. I decided to build my own set of Sterling single length irons, based on a design by Tom Wishon and Jaacob Bowden. Tom Wishon is one of my favorite people in the golf equipment industry. He began designing clubs in 1980. During his career, Tom has written 9 books and more than 200 magazine articles on golf equipment performance in his commitment to share the most factual information about how golf clubs perform in the hands of real golfers. In 2003, he started his own company that designed, manufactured, and sold high quality original design clubheads, shafts, and grips. Tom has always been passionate about educating golfers about equipment design and the benefits of custom fitting. The Wishon golf forum and his numerous contributions to GolfWRX and other forums have taught me and many others a lot about golf clubs. They provided a very clear and scientific explanation of the benefits and limitations of particular clubhead design features and certainly saved me a few dollars that the marketing departments were trying to seduce me into spending ;-). On October 1, Tom transferred the sales and manufacturing part of the business to Diamond Golf in the UK, easing into a semi-retirement where he intends to continue designing new clubs and educating golfers. There is a great FAQ page about the benefits and limitations of single length irons that also explains the design parameters of the Sterling irons on the Wishon site. Additionally, there is also a 5-minute video of Tom Wishon discussing the rationale and design features of the Sterling Irons above. I haven’t built many new clubs in the last few years, but still had a Wishon account number. So when I heard about the transfer of sales/distribution to Diamond, I was incentivized to place an order with Wishon golf before the transfer to save a few $ on shipping. Good thing I did, because the irons have become very popular and are in very short supply. 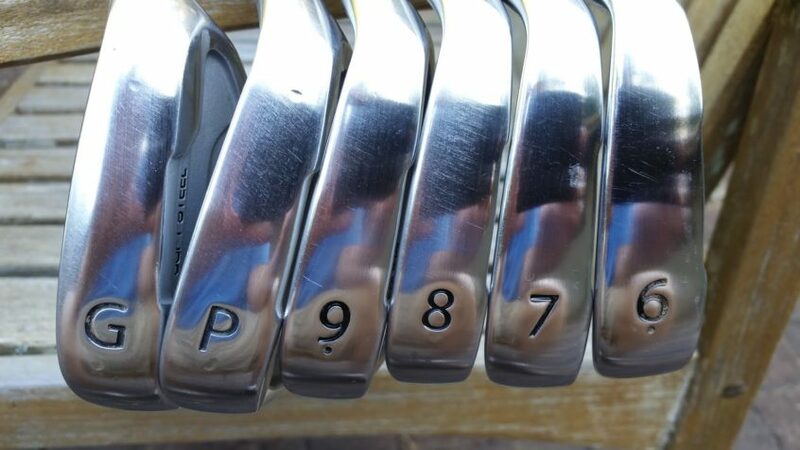 Single length irons require several design changes versus the current standard. One of the biggest challenges is maintaining proper distance gaps. 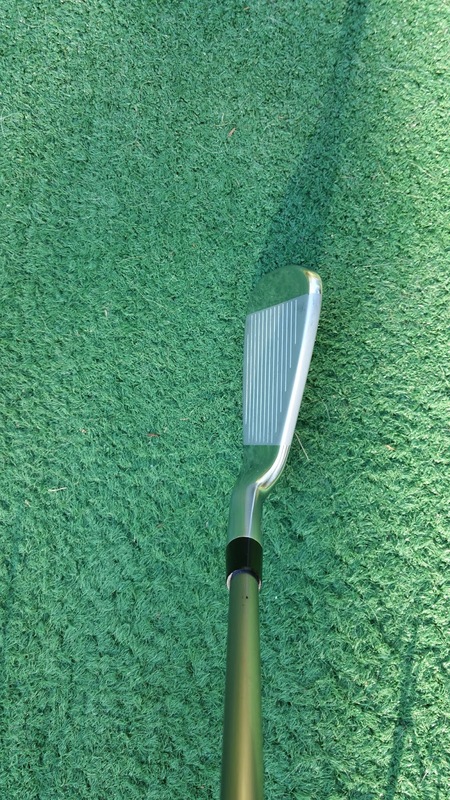 Normally 15-20% of the distance difference between irons is due to difference in shaft length. So to make up for loss of that factor, Wishon increased the loft differences between the irons and also used Hi-COR technology in the 5-6-7 irons. Note the loft differences between the Sterling SL irons and my Mizuno MPH5’s. My testing of the club consisted of three “serious” rounds, including an 18-hole medal play tournament. I also played 27 holes solo hitting multiple shots on each hole including multiple 6 irons of each club using a swing speed radar. On average, I lost 2 mph clubhead speed with the SL 6 iron (77-78mph) compared to the longer Mizuno. As the specifications of the clubs would suggest, I hit the Sterling SL 27* 6-iron lower than the Mizuno 30* 6-iron. At 60 years old, my clubhead speed isn’t what it used to be. Higher clubhead speeds would likely result in a higher trajectory. As Wishon mentions in his FAQ, lower clubhead speeds will have difficulty getting enough height with the mid-irons. I was fine overall with the 6-iron, but feel I would not hit the 5 iron high enough. Even the 6-iron trajectory was borderline from the rough. On several shots the SL 6-iron came out very hot, running farther over the green than I would expect with the Mizuno. The Hi-Cor face had a different feel than the Mizuno with a higher pitched sound. It was not at all unpleasant, just different. Ideal testing would have also included launch monitor comparisons, but I did not have access. In his FAQ, Wishon recommends an 8-iron length of 36.5”. I went ¼” longer simply because I already had 2 shafts that ended up that length after tip-trimming. Wishon feels short iron distances may be too long with longer shafts and contact quality/accuracy may suffer. I did hit the 9-iron to GW a few yards longer with the Wishon clubs. The PW and GW did fly higher than my Mizunos. I suspect this is due to the higher clubhead speed from the longer shafts. But this was not a negative–the PW and GW were a delight to hit and set me up for a good number of birdies. The longer shafts did not create any issues for me at all. In the 1990s Tommy Armour sold E.Q.L. single length irons mainly built to 6-iron length. These failed in the marketplace. From my very limited experience the 8-iron length makes more sense to me, especially considering how they worked for me with the 9-GW. I enjoyed playing the single length irons and feel they are certainly a viable option for many players. 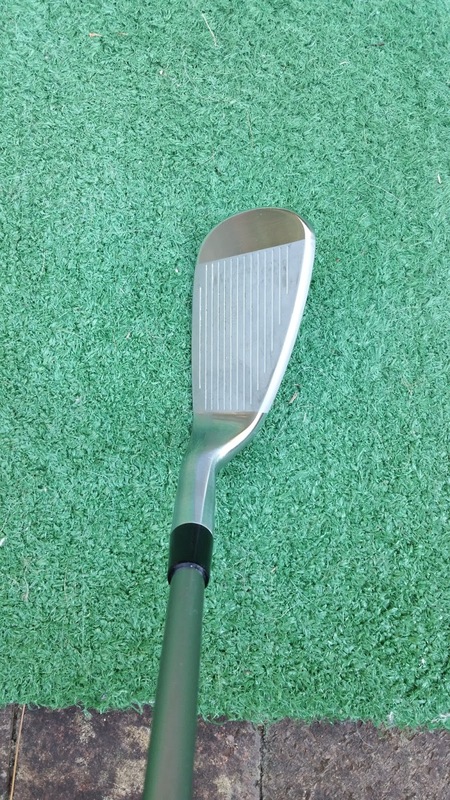 They might be ideal for a beginner to intermediate player with good clubhead speed. Someone coming from baseball or tennis might do very well with these. 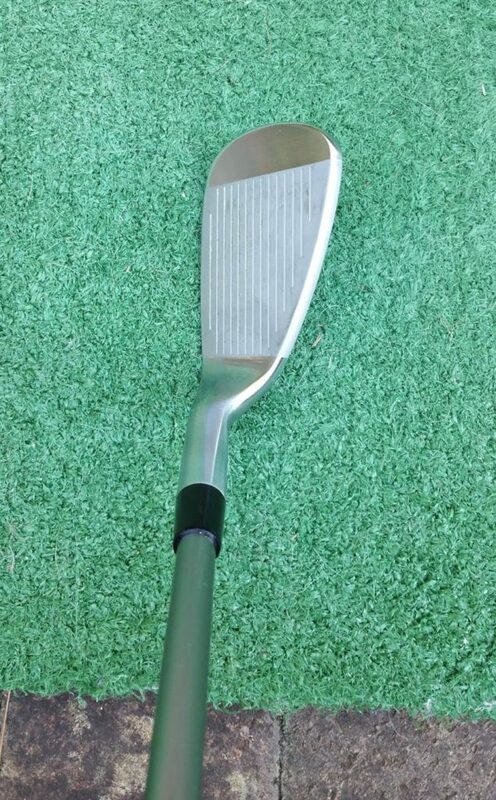 The mid-irons of a single length set would not be a good choice for a low clubhead speed beginner. They simply would not hit them high enough. I plan to test the SL irons a bit more this winter, but for now am sticking with my Mizuno irons for competition or money games. The softer landing 6 iron is the biggest reason. I also prefer the smaller blade and lesser offset of the Mizunos. I was fitted for The Sterling clubs in the spring and love them ! My Hdcp has dropped from a 14.3 to a 9.1 !!! I hit them all hi …a beautiful trajectory ! They sound differnt . Even his 11 degree driver is very close in stance to my M2 driver . Hit hits more fairways …many more 👍. 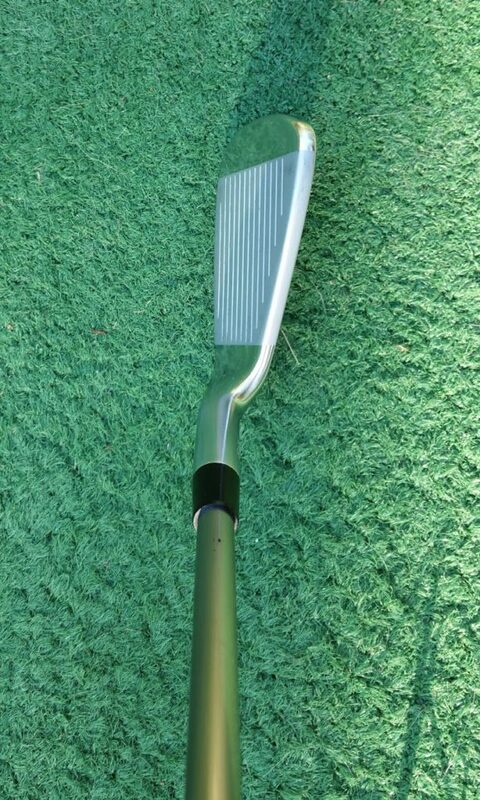 My 5 iron goes the same as my new Hogans I bought a year ago and love . When I go play for fun …I play My Hogans , my Wishon’s and my Hickory’s !!! But when I want to “WIN” I only play my Wishons ! Golfers should give them a try before slamming the idea ! You might be right about the club head speed ! I’m 60 years old but still have a 107 club head speed . 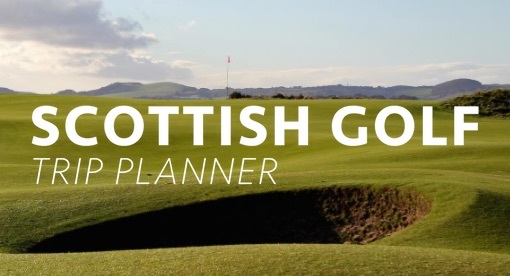 State Apparel – Maker of the Best Pants for a Scotland Golf Trip? Enjoying this content? Sign up for our monthly newsletter to receive travel tips, exclusive content, and sneak peaks at new reviews!